In Israel, 'Lag B’Omer' Holiday Leads to Mount Meron Pilgrimage - Breaking Israel News | Latest News. Biblical Perspective. The Torah lists three pilgrimage festivals: Passover, Shavuot and Sukkot. Yet the largest annual Jewish pilgrimage these days will take place this week during the lesser known holy day of Lag B’Omer, or the 33rd day of the 49-day counting of the Omer between Passover and Shavuot. 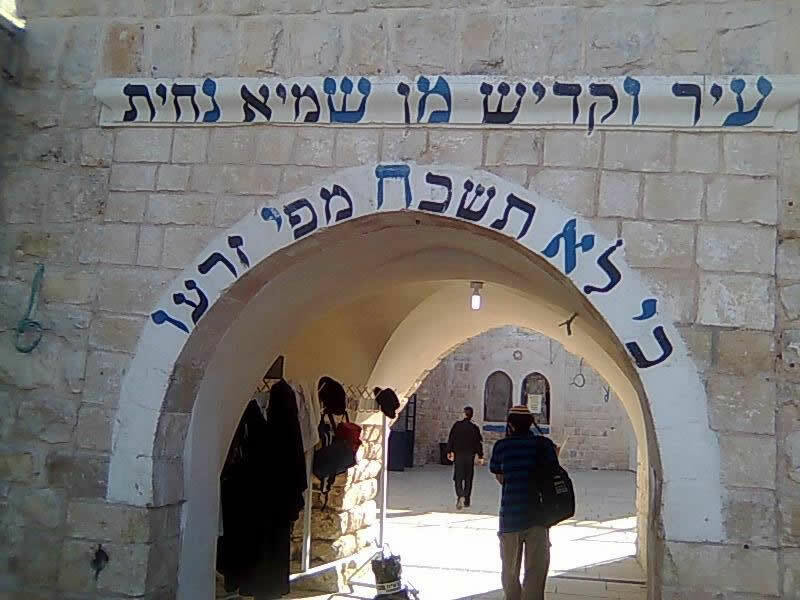 An estimated 250,000 Israelis—men, women and children—are expected to travel to the gravesite of Rabbi Shimon bar Yochai in the small northern village of Meron (technically, a moshav) in the Upper Galilee near Tzfat over a two- to three-day period that commences on Wednesday. The holiday starts on the evening of May 2 and lasts through the evening of May 3. The day is associated with the anniversary of the passing (yahrtzeit) of the Mishnaic sage and Kabbalist Rabbi Shimon bar Yochai, also known by the acronym “Rashbi.” It is believed that on the day of his passing, he revealed for the first time teachings that constitute a significant portion of the Zohar, the foundational book of Jewish mysticism. 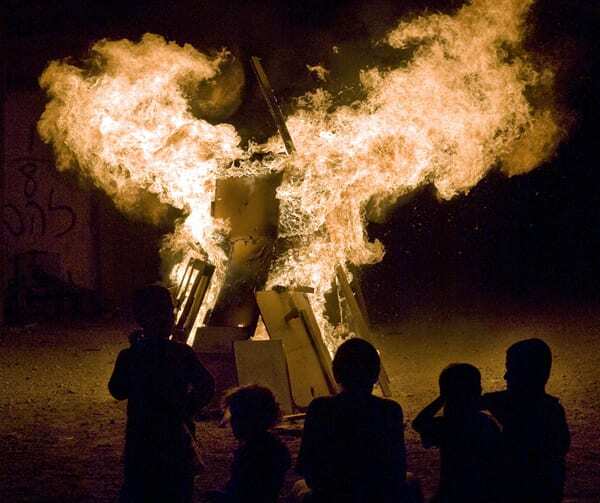 Unlike other Jewish festivals with strict religious observances, Lag B’Omer has few, if any, ritual requirements. Most celebrate the day with bonfires and barbecues, making it an attractive celebration to observant and non-observant Jews alike. The day is also associated with the end of a mourning period, in which 24,000 students of the Mishnaic sage Rabbi Akiva are believed to have died fighting the Romans during the bar Kochba rebellion (132-136 C.E.). After the tragic death of his students, only five remained—one of whom was bar Yochai. There is another view that the students died from a plague brought about by disrespecting one another, in violation of Rabbi Akiva’s principle teaching of “loving each other like oneself.” The death of the students is believed to have ceased on Lag B’Omer. “This is a time to emphasize love of our fellow Jew; to emphasize unity,” said Shemtov, who noted that Jews around the world come together as large communities to celebrate the day. Getting 250,000 pilgrims in and out of a town that’s normally home to barely 1,000 residents in such a short period of time, in addition to preparing for emergency scenarios, is a colossal undertaking. “The festival is one of the largest events that Israel’s police department needs to deal with each year,” said Micky Rosenfeld, spokesman for the Israeli National Police authority. “There are massive security preparations and coordination between the police, local authorities, as well as religious authorities which are responsible for the event,” Rosenfeld told JNS. Most Israeli schools are closed on Thursday, and nearly every available bus in the country is employed to bring worshippers to Meron. A makeshift central bus depot is setup just outside the village, divided into multiple, color-coded zones to direct thousands of buses to and from nearly every corner of Israel. In addition to the police, various emergency-services agencies are mobilized to deal with medical situations, lost children, and, of course, all those fires. Bonfires are lit in Meron and throughout the country on the evening of Lag B’Omer as the most popularly observed tradition of the day. And yet for all of the planning and coordination, within Meron the large crowds can be both intense and chaotic. Many brave pilgrims push their way into the relatively small building housing the grave of Rabbi bar Yochai and his son, Eleazar. For those who wish to offer momentary personal prayers at the grave of the sage, getting in and out of the room with the physical tombstone can be simultaneously exhilarating and spiritually rewarding, while simultaneously stressful, sweat-inducing and potentially dangerous. At the same time, surrounding the building and in Meron itself, pilgrims remain in generally good spirits, sharing food with one another, and engaging in a festive atmosphere with music and sunrise prayers. ZAKA, an emergency-rescue service comprised mostly of Orthodox volunteers (best known for responding to and cleaning up deadly acts of terror or other unnatural deaths) sends dozens of volunteers to Meron days in advance to ensure that anyone in need of emergency assistance can get it. “We try to make sense of the balagan” (an endearing Hebrew term for “chaos” or “mess”), said David Rose, international director of ZAKA. “We bring ATVs [all-terrain vehicles] to Meron to help those who need to get or down the mountain in case of an emergency. We also set up water stations, and distribute bottled water and refreshments,” Rose told JNS. “Over the years, Lag B’Omer has grown many fold,” said Shemtov, who recalls going to Brooklyn, N.Y., from his hometown of Philadelphia as a child to participate in the large parade instituted by the Lubavitcher Rebbe, Rabbi Menachem Mendel Schneerson. “You have parades and rallies around the world,” said Shemtov, whose Chabad synagogue will be celebrating the festival together with a neighboring congregation. “In Washington, we are partnering with a local Orthodox synagogue, Kesher Israel Congregation, to offer an outdoor event for all ages—students, young professionals, friends, family at a nearby park.